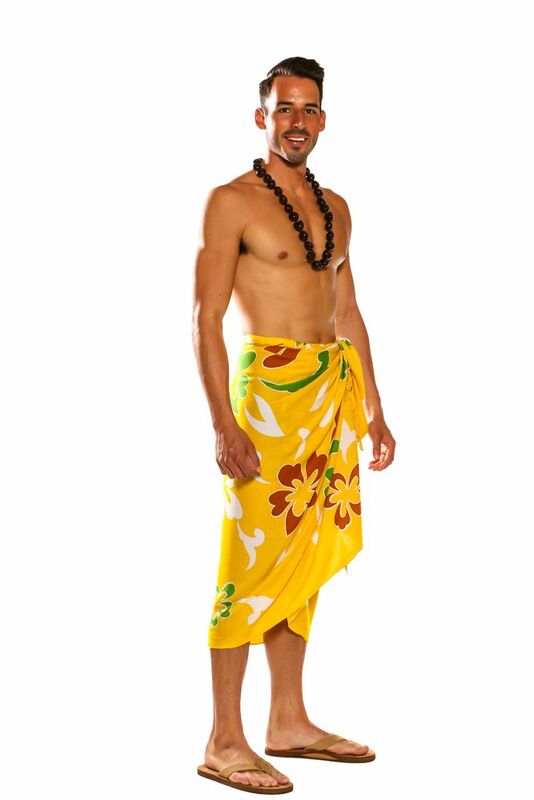 1 World Sarongs is the #1 Sarong Source for Men! Looking for style and quality � 1WorldSarongs is your place. Men Sarongs have many different uses; 1. A change curtain - wrap yourself in a sarong with a sarong tie to keep it tied on as you change your surf trunk. 2. After a day of surfing at the beach use as lightweight quick drying towel. 3. Throwing in your backpack as a blanket to keep you warm on the airplane or to sit on when there is a dirty floor. 4. Terry the president of 1 World Sarongs likes to use his to wear around the house to relax in especially when it's hot out. 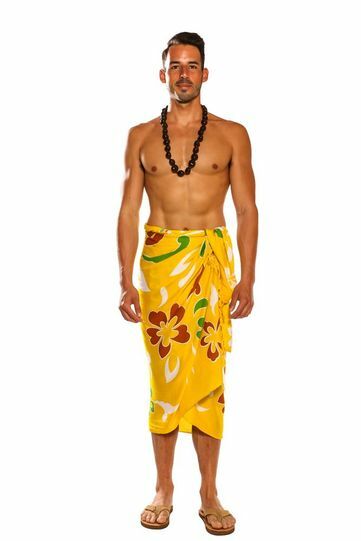 A vibrant print adds tropical appeal to this casual aloha sarong made with breezy rayon for beach or out-of-office style. Take a vacation from your everyday with a sarong from 1 World Sarongs. Our unique prints, vivid colors, and feel good fabrics give you a day-at-the-beach feeling, even in your own backyard. Let yourself get away from the ordinary with 1 World Sarongs. Sarong measures approximately 66 x 44 inches (168 cm x 112 cm) on fringed lightweight rayon. Please note color, size and design will vary due to the handmade nature of this item. To care for your sarong, to ensure they last for years, hand-wash in cold water and line dry. 1WorldSarongs is an International fashion brand that represents style and quality since 2000. Our company works on basis of creativity and social responsibility and environmental responsibility. Earth friendly and art friendly is at the heart of the brand's philosophy. These positive values shine through at every level, from the handmade designs to the use of natural materials and the responsible production. 1WorldSarongs aspirations are to be the best casual fashion brand with an outstanding price value proposition.